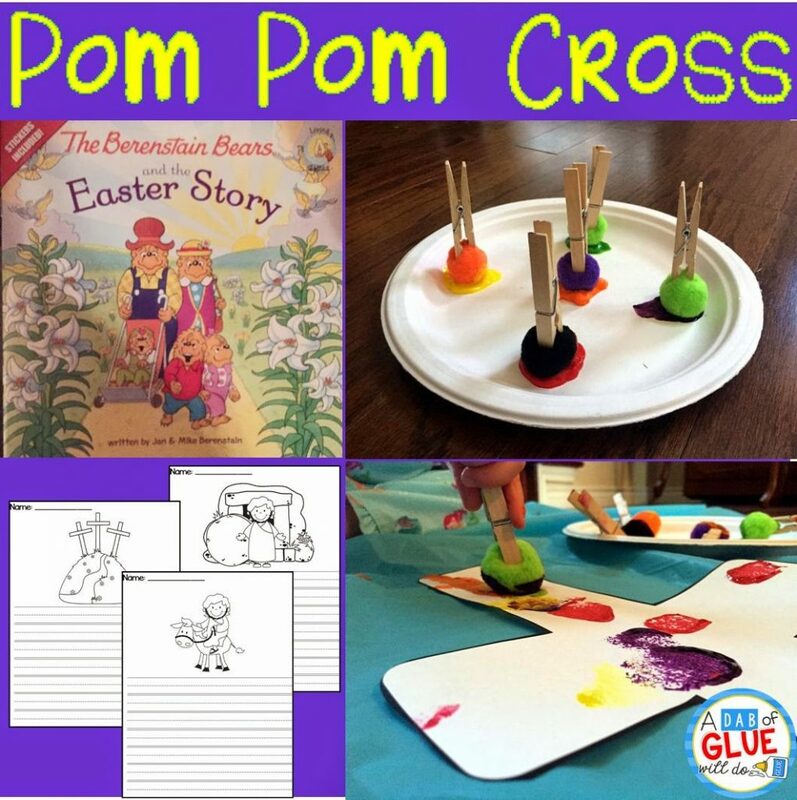 I have a TON of pom poms leftover from when I was teaching and I saw a picture of kids using pom poms as a painting tool so I thought this would be a fun way for Molly to decorate a cross after we read a book about The Easter Story. 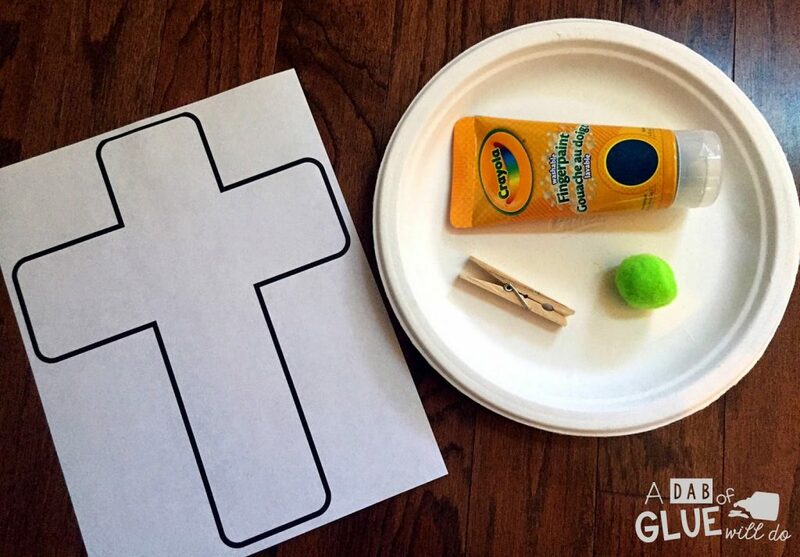 We have been talking about Jesus and the story of Easter using my printables over the past few weeks, but I also wanted a book that Molly would enjoy about the same topic. 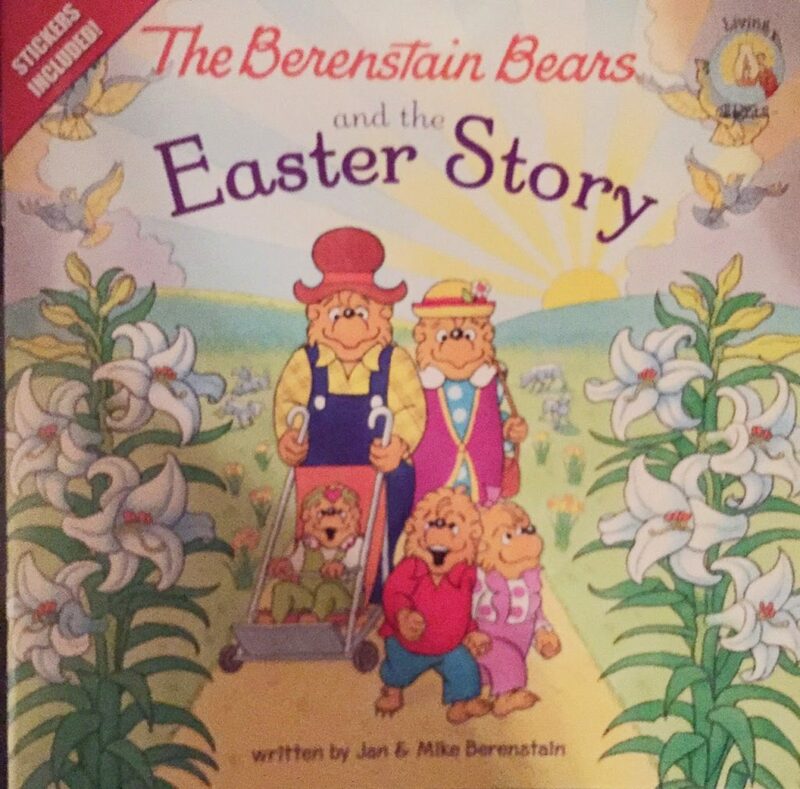 She loves the Bernstein Bears so I thought that ‘The Bernstein Bears and the Easter Story’ might be a safe bet. The reviews on Amazon were great so I bought it and Molly and I have been reading it the past few days. She loves it and it! 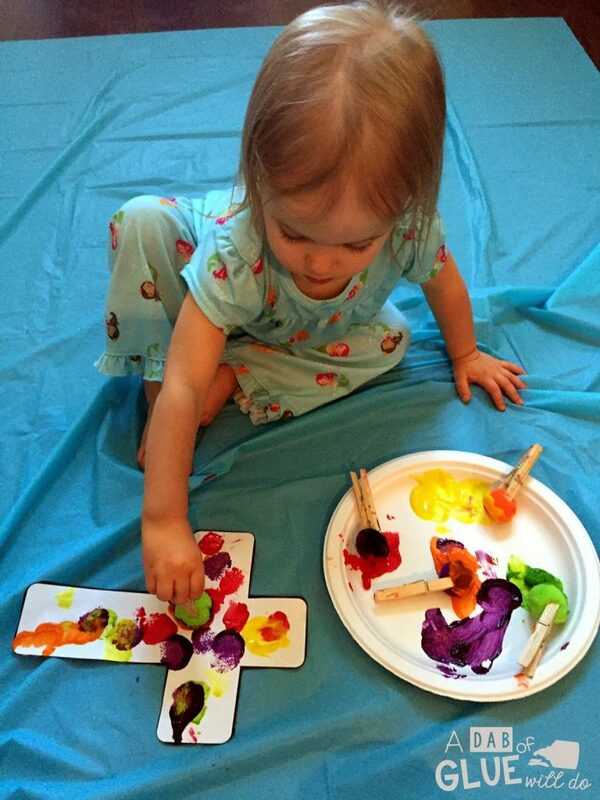 After reading the book all morning, we did to do the craft after nap time. 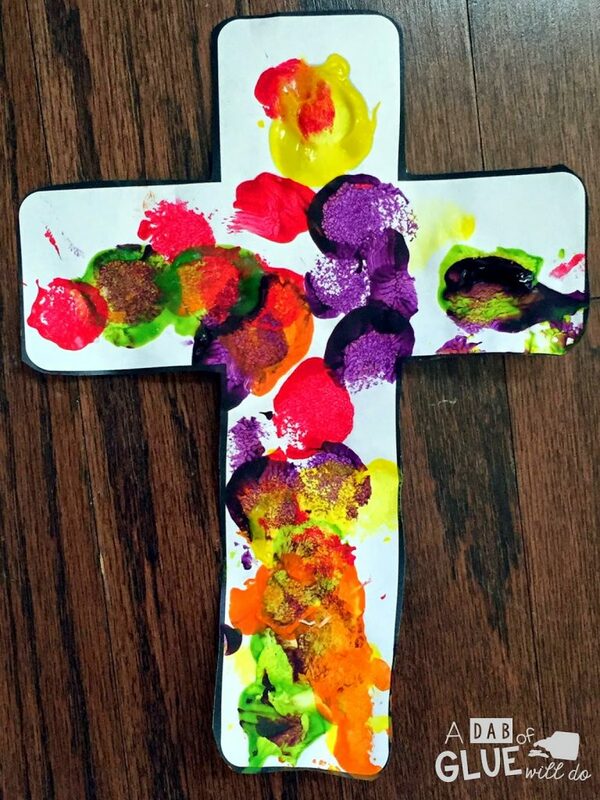 5) Dab away and paint the cross! 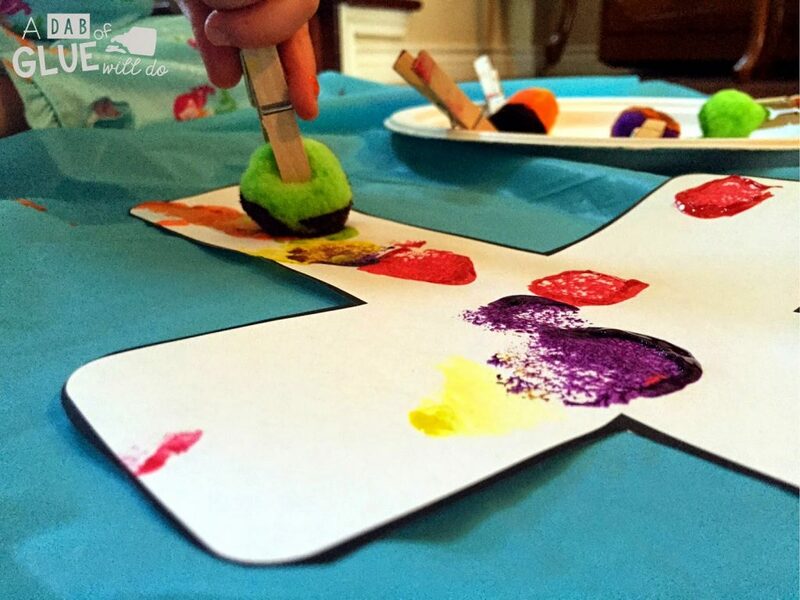 A lot of the painting activities that we do Molly will want to spend no more than five minutes actively engaged in it before she says ‘all done’, but this activity she could have done FOREVER. She loved it. 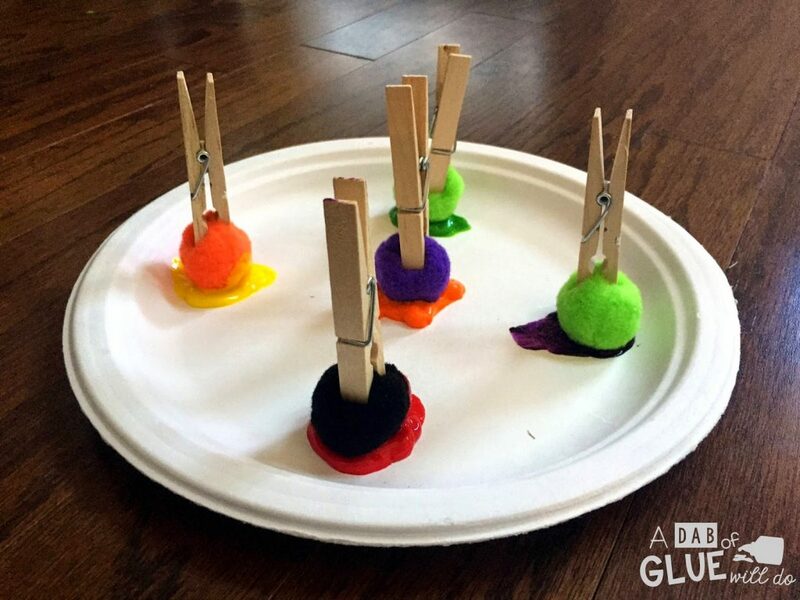 I do not know if it was the novelty of painting with pom poms or the clothespins or the combination. Either way she was definitely a fan of this. She loved the pom poms so much. In fact, she has been carrying them around ever since (clean ones). She even had to go to bed with them. Ha! Molly is too young for these, but I made an extension for older kids. 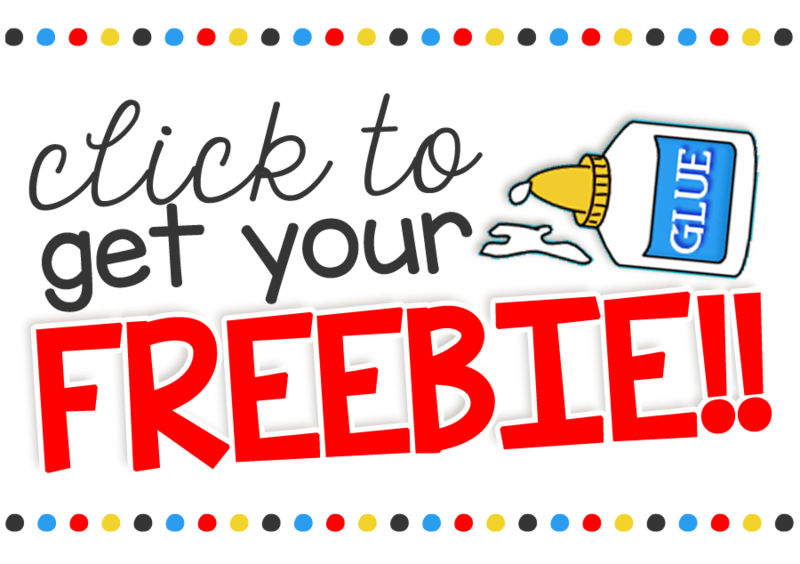 You can get five Easter writing paper for FREE on my Teachers Pay Teachers Store. Hope you enjoy ‘pom pom’ing!